So microphone and mouse problems aren’t the only issues affecting the latest version of Windows 10. The company recently acknowledged the UEFI failure on Intel Solid State Drives. But that’s not the end too. It appears that the Toshiba SSDs are also facing some problems. Microsoft has confirmed blocking Windows 10 April 2018 Update on some Toshiba SSDs, including Toshiba XG4 Series, Toshiba XG5 Series, and Toshiba BG3 SSDs. The Windows maker apparently didn’t include Toshiba in its internal testing process and is currently working with the OEM to identify the problem and fix it at the earliest (via ComputerWorld). But until that happens (expected to be in early June), the company and its OEM partners will identify and block devices with the above mentioned SSDs from installing the latest Windows 10 version 1803 since the update could cause significant battery performance issues. Before this Toshiba episode, the company had confirmed that select devices with Intel 600p Series and Intel SSD Pro 6000p Series may crash and enter a UEFI screen after reboot. That is even worse since some of the company’s Surface Pro (2017) models ship with these Intel SSD Pro 6000p drives. Microsoft is following the same blocking strategy for those devices as well since the April 2018 Update could cause stability issues. It might take a few more weeks until these issues are resolved. 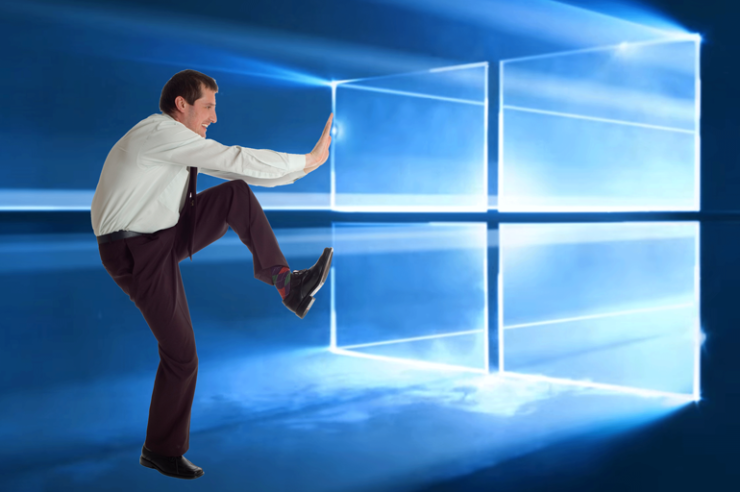 If you got excited and installed Windows 10 April 2018 Update on your PC that is now facing a myriad of issues, you can easily roll back to an earlier version. Did you take the leap of faith? Is it paying out? Don’t forget to share your Windows 10 1803 experience with us.